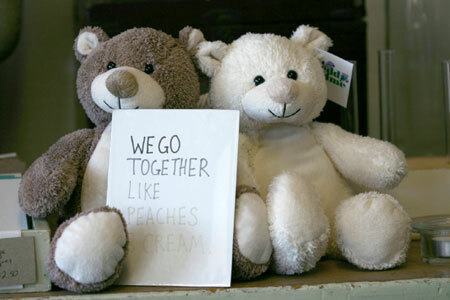 We go together like peaches and cream. 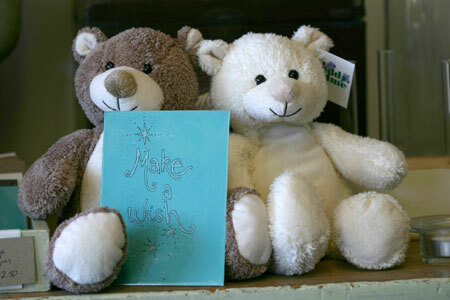 Thanks for your super modelling bears! 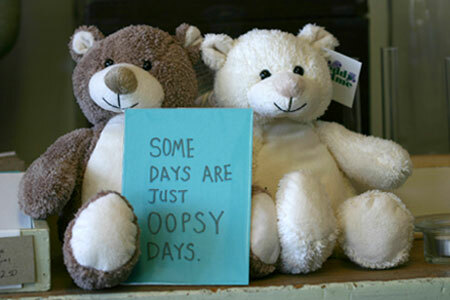 You guys rock (in a quiet happy way, which is the way we like…)! 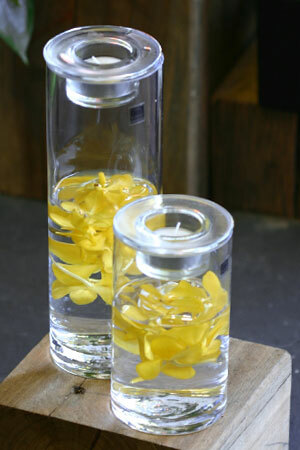 Experimenting with ideas for how to use these funky candle vases…orchids floating in water came to mind, but there must be lots of possibilities! 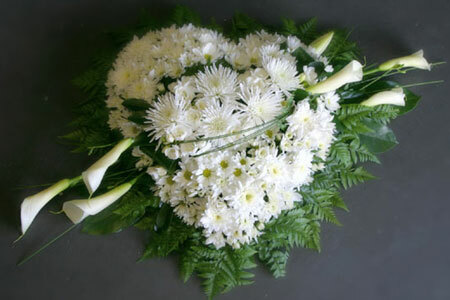 Some weeks ago we were asked to do a very special white heart wreath with a feature. 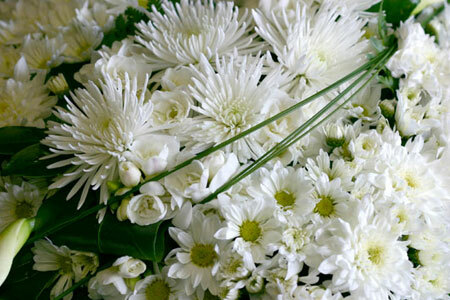 Flowers used: disbuds, Polaris and daisy chrysanthemums, freesias, arum lilies. Size: approx. 80cm across.